There are more than 200 DDA Community Residential Providers contracted or certified to provide support services to adults with developmental disabilities in Washington State. DDA community residential programs include: Supported Living Agencies, State Operated Living Alternatives (SOLAs), Group Homes, Group Training Homes, and Companion Homes. If you are seeking Supported Living Agencies in your area, check out DDA’s updated locator map. The following questions have been developed to assist people in making an informed decision when selecting a residential service provider. What information is available about your agency? In what formats (brochures, web, newsletters, annual reports, etc.)? Can you send me copies? What is the size of your agency? Do you have any clients or family members who would give permission for me to talk to about their experiences with you? How does your agency assist people to develop and build friendships and relationships? How do you support individuals to have choices and make their own decisions? How does your agency support individuals to achieve their personal goals? How does your agency support individuals with activities? How do you meet transportation needs? What kinds of clubs or community organizations do people belong to? What makes your service unique from other residential service providers? Is there an area that you specialize in? independence, communication and access to information and other people? What are your staff qualifications and training requirements? How does your agency ensure quality and address continuous learning for staff? Will my family member or I have input in hiring staff who will be assisting me? Can I receive copies of any family/client satisfaction surveys? Can I receive a copy of your agency’s most recent certification review? As I arrive, do I like the location and outward appearance? Is the home close to friends and relatives? Is the home on a noisy street?Is the home neat, clean and odor free? Is the home accessible (for example, is there a sit-down shower, grab bars as needed etc.)? If Supported Living, how many people will be sharing the household and what will be my share of the rent, utilities, etc.? 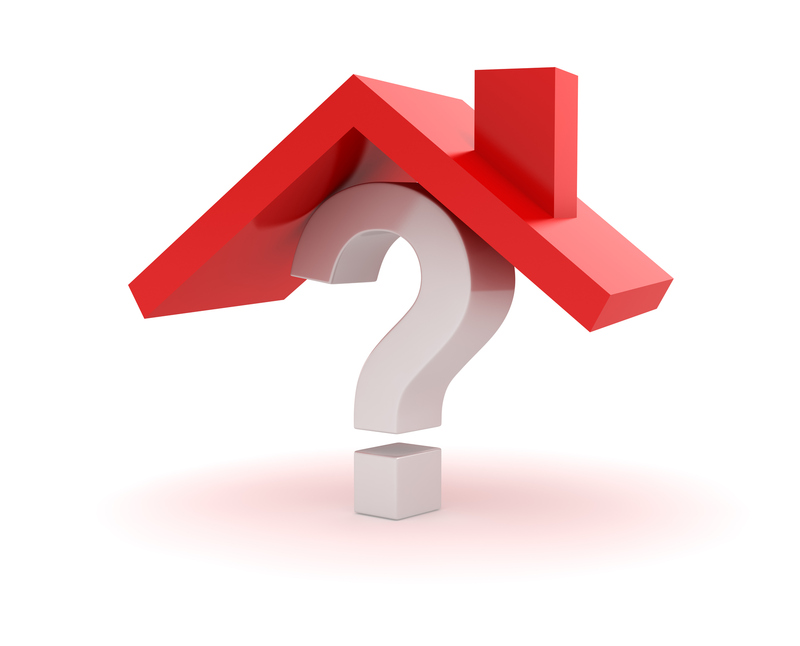 If a Companion Home, what does my room and board cost? What furniture will I need to purchase? Do I have common interests with other potential housemates? Will my housemates own a pet? Do any of my potential housemates smoke? Do I have a say in who my future housemates might be? Your financial responsibility towards living expenses or support services will vary across residential settings. In licensed facility based settings, such as Group Homes, you will be responsible for contributing towards your cost of care. Your daily rate will cover room and board in addition to support services. If you receive Supported Living services, you may own or rent your home, typically with housemates. In Supported Living, support services are paid for by the state, but you are responsible for living expenses, such as rent and utilities. 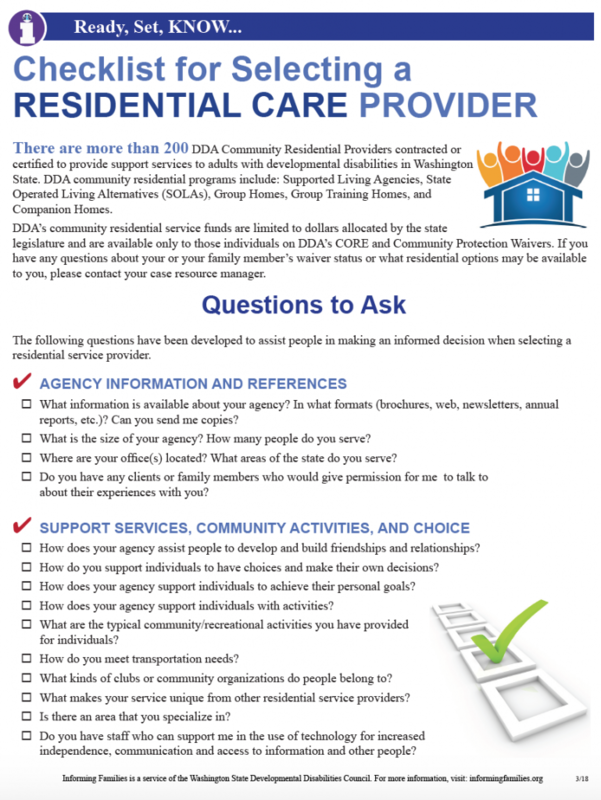 For more information on DDA residential programs, or the level of service you are assessed to need, contact your case resource manager.